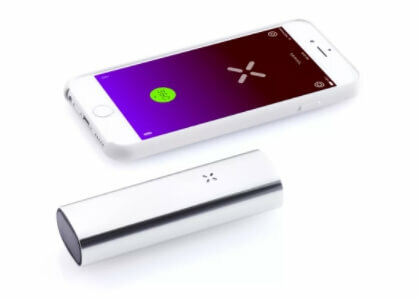 Pax is a well-known name in the vaping scene thanks to its well-known dry herb vaporizers. 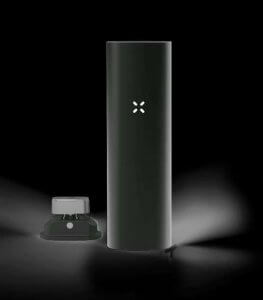 The Pax 2 was perhaps one of the most successful vaporizer back in 2015 when it first released and stayed strong thanks to its robust design, competitive price and versatility. For people that wanted to enjoy dry herb vaporizing, there was really no other choice. If you wanted versatility though, dry herb, e liquid and wax then the Pro 3 and Pro 7 are more than just competitors. It’s been a few years and Pax has finally released the Pax 3, the successor to the ever-famous Pax 2 dry herb vaporizer, but how does it compare to its older brother? Pax 3 Kit. What’s Inside? The Pax 3 kit comes with exactly all the things that you’d expect. It comes with the vaporizer itself, the concentrates insert, a charging cable with a dock, maintenance kit, multi-tool, mouthpieces, oven lids, replacement screens and a replacement O-ring for the concentrates. Pax understand that their products are premium purchases, hence why they include everything you need in the box. With replacement mouthpieces, screens and a replacement O-ring, it’s an all-in-one purchase. 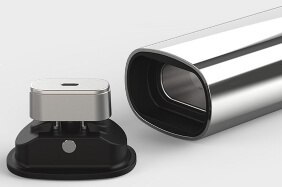 A device-only version is available if you don’t want to purchase all the extra accessories. The Pax 3 comes in various colours to suit your style. It has a 10-year limited warranty which will give you the peace of mind you need to invest in their products. You can get roughly 8-10 sessions per charge thanks to the upgraded 3500 mAh battery, up from 3000 mAh on the Pax 2. There are 4 heat settings on the Pax 3, ranging from 360 F (182 C) to 420 F (215 C). The heat-up time comes down from 45 seconds to a mere 15 seconds—a 30-second improvement. The Pax 3 doesn’t heat quite as fast as an on-demand vaporizer such as the Grasshopper or Firefly 2, but the heating has improved drastically since the previous model and it’s one of the fastest session vaporizers you can purchase right now. Every drag from the Pax 3 is smooth which can help with coughing and sore throats. It produces an excellent flavour and the heat settings allow you to adjust how thick the clouds are. At low temperatures, clouds barely appear which is fantastic for discreet use. The Pax 3 is a premium-feeling product that won’t disappoint. It’s still small enough to fit in your pocket, but the added functionality with Bluetooth gives it a wealth of new features. 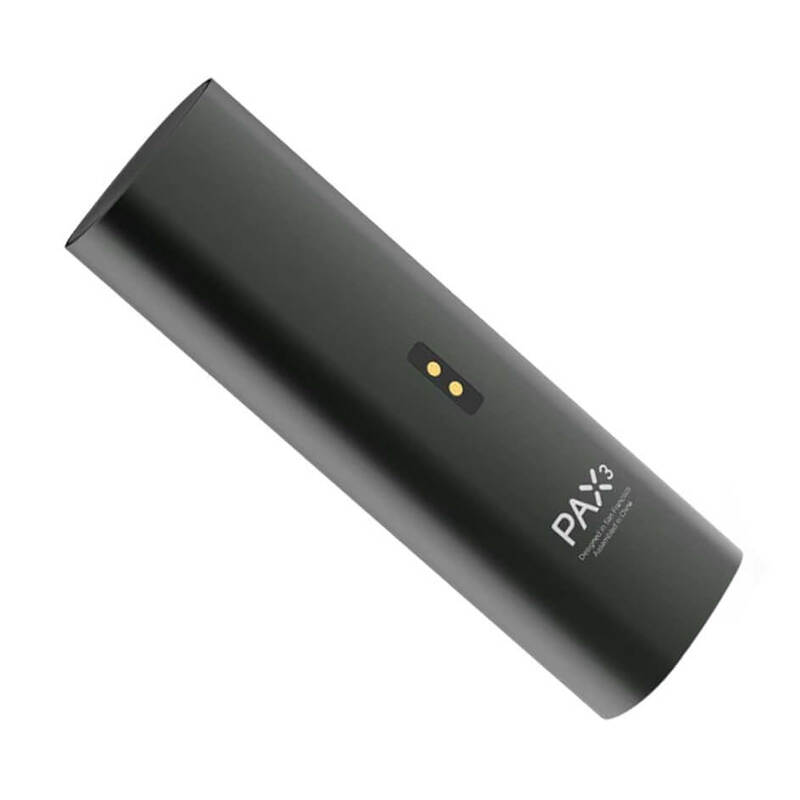 It still contains all the best features of the Pax 2 such as lip-sensing technology and a premium build quality. However, the Pax 3 has a glossy finish which attracts fingerprints, and this could put some buyers off. The haptic feedback engine also vibrates the unit once it’s done heating up. While it seems insignificant, it does help to alert you when the unit is in your pocket or on a desk. Compared to the Pax 2, the Pax 3 makes its older brother feel like an antique with all the added technology and the ability to pair with a smartphone application to enhance the features. The Pax 2 has been one of the most popular herbal vaporizers for the past few years. The Pax 3 improves on virtually everything it could have, making it absolutely worth the cost. The full device pack comes with everything you’ll need, and the added bonus of being able to do concentrates as well is convenient because of how surprisingly well it works. It lacks the ability to vape using e liquid so you would need a second vaporizer for your e juice habit adding to your cost. This is where the V2 Pro 7 scores (at half the price!! £119). It does everything practical (ie. the end result!) pretty much as well as the Pax but has the added advantage of doubling up as your standard e juice vape too. When cost is built into the decision making process the Pro 7 affords a better overall solution for those who need e liquid functionality. The Pax 3 comes out at £220! If you don’t already own a dry herb vaporizer then the Pax 3 is a top contender. However, if you’re looking for a cheaper option then the Pax 2 is still a viable choice, but again the Pro 7 trumps. If you’re looking to upgrade from the Pax 2 to Pax 3, then you’re going to get a concentrate insert, extra accessories and a slightly better battery and heat-up time. For some people this is great, but others might want to hold off until their Pax 2 starts to fail before investing in a Pax 3.